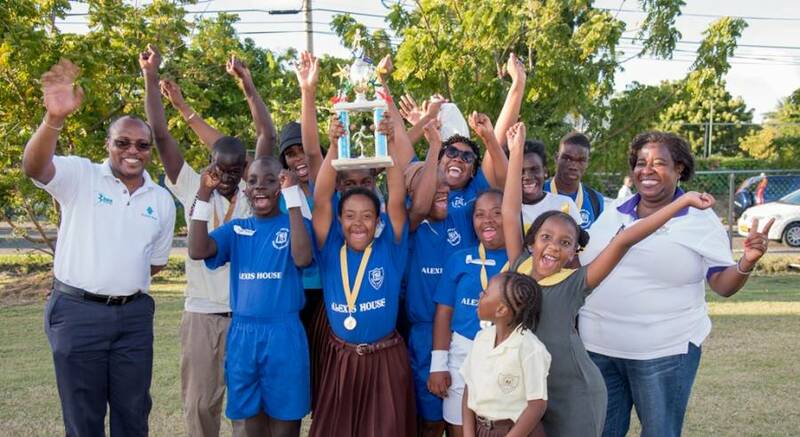 Students at the Grenada School for Special Education had their chance to display their athletic talent, when the school held its sports meet, Thursday, 1 March 2018 at the Morne Rouge Playing Field. Beginning with the parade of teams, accompanied by the JW Fletcher Drum Corps, students from all four houses put on a very colourful and exciting display, to the delight of the spectators. Among the attendees were representatives from the Ministry of Education & Human Resource Development, including the Special Education Desk. Manager, Head Office at Republic Bank, Mc Kie Griffith, made remarks on behalf of the bank and declared the sports open. The day’s activities featured track and field as well as novelty events, including the exciting tug-of-war. Several members of staff of Republic Bank participated in the sponsor’s race which was well received by spectators. At the end of the activity, Alexis House (Blue) emerged in first place, while the march past was won by Britton House (Red). The other 2 competing houses were Johnson (Green), and Hopkin (Yellow). We congratulate all the participants for their fine display of sportsmanship and applaud the hard-working staff and support personnel from the Ministries of Sports and Education; as well as the volunteer students from the TA Marryshow Community College for their dedication and assistance. Republic Bank has supported the school’s sport day for over 11 years, providing medals, trophies, refreshment, music, t-shirts and other supplies. The bank‘s financial contribution was $4,000.